Not three words you typically think of when it’s time for a crawfish boil. 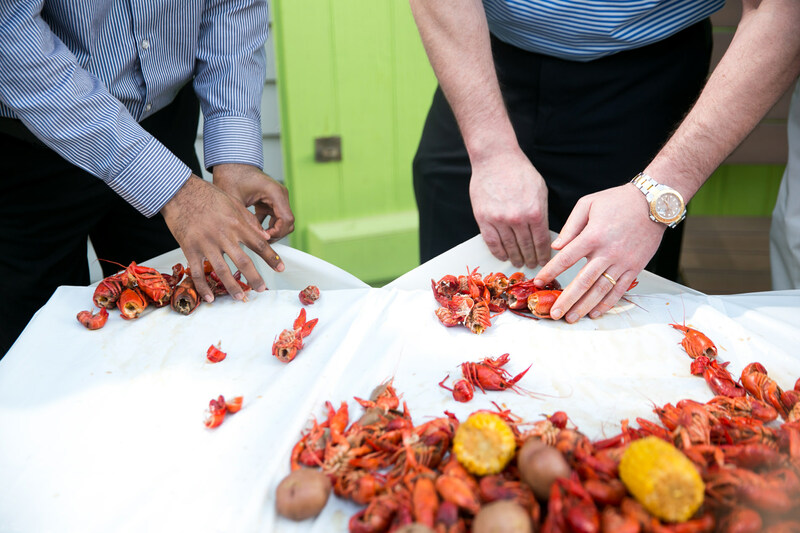 Forget the newspaper, forget the trays, forget the multiple trash bins – now you can experience the fun and relaxation of a crawfish boil without the extra work. Get one pack of two kloths for only $14.95! More durable than your standard trash bag, KrawDaddy Kloths’ pockets can hold up to 10lbs each! Simply remove your Krawdaddy Kloth from the package, place on the table with the pockets facing out, and you’re ready to go! No trash bag required. Grab a friend, grab the corners and gather towards the middle. Lastly, twist the pockets and place in the trash can. For wholesale inquiries, contact us via e-mail or phone.